Are Dental Implants in North Dallas Worth the Cost? Do you miss eating your favorite foods, like steak, because they have become too difficult to chew? Maybe you are ready to stop feeling insecure about your incomplete smile? No matter the reason, you are now considering to replace your missing teeth with dental implants in North Dallas. Before you are ready to commit to them, you are wondering if they are really worth the added cost? If you want a long-term solution that will improve your oral health and quality of life, they are worth their price. Is the Price of Dental Implants Worth It? Closely mimic the appearance and function of natural teeth. Preserves bone density in the jaw. Increases biting force by 70% when compared to dentures. Overall, dental implants allow you to make a long-term investment that will eventually pay for itself. Unlike traditional tooth replacement options, you will not have to worry about adjustments, expensive cleaning solutions, or needing to have the implant posts replaced periodically. When determining how much your new smile will cost, you will need to visit your dentist in North Dallas for an estimate. The cost of the procedure varies depending on the factors that influence your individualized treatment plan, such as how many teeth are being replaced, if additional procedures are needed, and your dental insurance. The dentist’s experience and qualifications. Location and office hours for flexible appointments. With the right dentist by your side, you will make a true investment in your quality of life with a solution that looks and feels natural. If you are ready to start your journey to a complete smile, take the first step by scheduling a consultation with your dentist. After determining if they are the right solution for you, they will provide you with an estimate and discuss your payment options. Dr. Dale Greer is a well-respected dentist in the community due to his advanced training and qualifications in an array of dental aspects, including dental implants. With a deep commitment to his patients, he provides the solutions you need to treat tooth loss. If you are ready to see if dental implants are right for you, contact our office today to schedule your consultation with Dr. Greer. 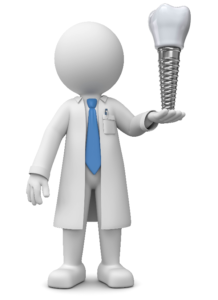 Comments Off on Are Dental Implants in North Dallas Worth the Cost?